On Sunday, preparing for the Jewish festival of Sukkot , my family harvested bamboo in the rain. Just days after the hours of prayer and reflection on Yom Kippur, we were giddy to be outside, with muddy feet, building a hut that barely fits in our postage-stamp Philadelphia backyard. To my surprise, it was beautiful: crowned in green, revealing the sky. During Sukkot we take on the commandment to dwell outside, inviting guests to join us for meals in a partially open structure, a sukkah. Instead of a roof we lay branches atop our hut: enough to provide shade but not enough to block our view of the sky. The festival blurs the distinctions between public and private, between vulnerability and protection. Our rabbis teach that we leave the roof open to symbolize the sheltering presence of the divine. But as I built my family’s sukkah, I also spent the weekend following the relentless media coverage of whether Christine Blasey Ford would testify that Brett Kavanaugh sexually assaulted her as a teenager, and a new assault allegation by Deborah Ramirez. The press reported that law professors at my alma mater had groomed students for judicial clerkships with Judge Kavanaugh, telling women that he prefers clerks who look like models. I found all of these accounts unsurprising, yet deeply demoralizing. This is the pinnacle of my profession. This is the world in which we are raising our children. Sitting in our sukkah, our shelter of peace, I struggle to reconcile these two competing narratives—the commandment to make ourselves vulnerable outside, and the reality of sexual assault and harassment. This Sukkot we cannot ignore that we do not all sit under the sky equally sheltered. As I hear the stories of people learning that their bodies are not protected, whether at work, at home, in public space, or as guests in private space, I reencounter my own stories. I refuse to conclude that Sukkot excludes my experience and the experiences of many other people. Indeed, feminists have long understood the power of creating a temporary space to gather outside in community, whether small or large: Take Back the Night rallies; clinic escorts; the Women’s March. Sukkot gives Jewish feminists the opportunity to go outside and claim a temporary sacred space in plain sight, under the sky. Gathered together, sheltered and exposed, we will hear the truth in this week’s Torah reading: there is “a time for tearing down and a time for building up; a time for weeping and a time for laughing; a time for wailing and a time for dancing; . . . a time for embracing and a time for shunning embraces; . . . a time for silence and a time for speaking” (Eccl. 3: 3–7). As we observe in the confirmation hearings, our stories are systematically silenced in public space. That silence causes pain and circumscribes our lives. The structure of the sukkah, both open and protected, permits us to find the time for speaking. The sukkah protects the vulnerable by sometimes allowing their vulnerabilities to be seen and spoken, and it exposes the violators by allowing their violations to be seen and heard. When rain falls through the branches and when mosquitoes invite themselves to dinner, we learn on the most basic level that our human-made structures are not impervious to the forces of the world. When we can bring our whole selves into the sukkah, we open ourselves to the all-seeing, sheltering presence of the Source of All. This week, as every week, we will go about the world in bodies scarred, shaped and strengthened by our encounters with misogyny and violence. As we celebrate Sukkot in the shadow of the Kavanaugh confirmation hearings, may we find protection in the intimate recognition of our own vulnerability and that of others. May we claim our space, and may we know when is the time for tearing down, and when is the time for building up. 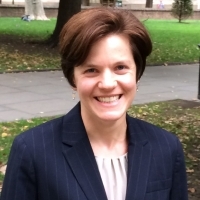 Maria Pulzetti is a legal aid lawyer in Philadelphia.